“The challenge is opening the club’s mind enough to go some way to keep up (with the rest of the Premier League), because the whole of the football business is saying ‘all the best with that, we’re going up here’”, (Source: independent.co.uk), these are the words of Burnley manager Sean Dyche in pre season on the clubs financial limitations. Dyche led Burnley to seventh place in the Premier league last season; this gained the club qualification for the Europa League, their first dose of European football for 51 years. Fans could have used these promotions for William Hill for backing Burnley in Europe, but that progress didn’t last long. Burnley, started their gruelling qualification schedule in July, beating Scottish club Aberdeen, needing extra time before advancing with a 4-2 aggregate win. Burnley, then needed extra time again as they won a very tricky tie against Basaksehir from Turkey. Burnley raised fans’ hopes with getting this notch under their belt. However, in August they were knocked out of the Europa League in the last qualification round, as they lost 4-2 on aggregate to Greek side Olympiakos. Dyche, had wished to make a mark in the competition, saying the club would take it seriously, but the Clarets came up short, they were unlucky in the second leg at home, but it was always an uphill struggle after losing the first leg 3-1. The Premier League season began in the midst of their European endeavours; in their opening game, they drew 0-0 away to Southampton, then were beaten 3-1 at home to Watford. Sandwiched between the two legs in Europe against Olympiakos, they were beaten 4-2 away at Fulham in a thriller. After their European exit, it became three league defeats in a row, as they lost 2-0 at home to Manchester United. This meant nine goals conceded in three games, Dyche’s men were clearly feeling the effects of starting their season in late July, struggling to adapt to the congested fixture list. 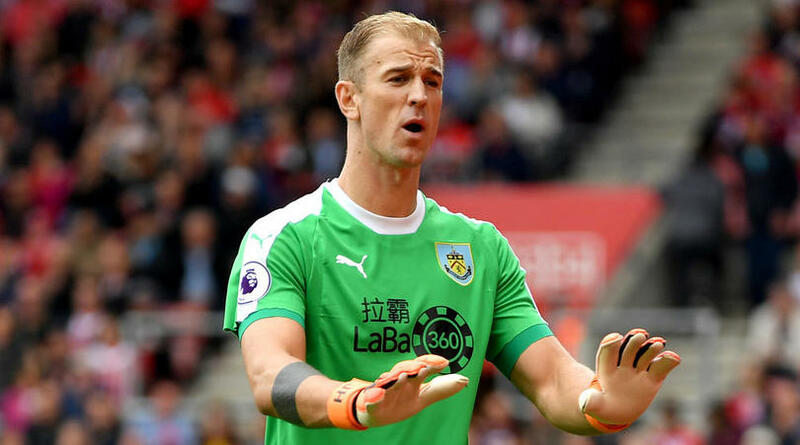 After the international break, Burnley were then beaten 1-0 away to Wolverhampton, if it had not been for new signing Joe Hart’s heroics in goal, the margin of defeat would have been much greater. Their penultimate game in September finally saw Burnley’s league season kick into shape, with a 4-0 win at home to Bournemouth. This was a clinical display as they scored 4 goals from 5 shots on target. Burnley, made it two wins on the trot, as they won away 2-1 at Cardiff the following week. This was a rather more fortunate win, as Cardiff had been the better side for large periods. Burnley’s last fixture before the second international break saw them draw 1-1 at home with Huddersfield, a game they really needed to be winning, considering their start and Huddersfield are expected to be fighting relegation. Their form is slightly picking up now unbeaten in three league games, and quite evidently if they still had European commitments; it is conceivable they may not have mustered a league win at all. If Burnley had a bigger squad, maybe they could have got past Olympiakos, as it stands due to the clubs restrictions, getting knocked of Europe could yet be a blessing in disguise. “We have a business model, but it makes it very tough. The chairman wants to back the club, but can only back it to a certain level, unless it rips up the whole structure of the club”. Dyche, then added, “I understand it. But my football head says ‘give me the money and I’ll go and spend it’.” (Source: independent.co.uk). Burnley clearly overachieved in the 2017/18 campaign, finishing amazingly in seventh place, despite being the sixth lowest scorers in the Premier League, however, they only conceded 39 goals, which was the sixth best defensive record. 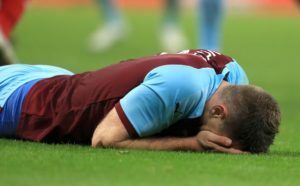 Burnley’s start to last season was so good, it meant that they were able to go 11 league games without winning, (a run that stretched from mid-December to early March) and stay in seventh place. 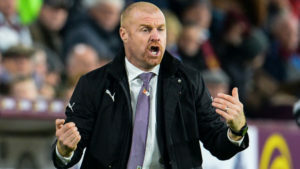 During this run without a win, Dyche was linked to the Everton job, however, he ended up signing a contract extension with Burnley until 2022. Before Burnley played Everton earlier this year in March, Dyche stated “I’m still here, I’m still working hard, and I still have the fire in my stomach to be successful here, and to continue to create an atmosphere and a culture, and environment that can be successful. That is my focus”, (Source; dailymail.co.uk). Dyche, has indeed developed a culture; his team are a well drilled unit. The neutral will not find them entertaining, but if they were more expansive they may be regularly exposed. If we look at last season stats, Burnley were first in blocking the oppositions’ shots, with 5 blocked shots per game, first in blocking crosses with 3.5 per game and second in clearances made with 31.2 per game. To add to that, Burnley also had the fourth joint lowest average possession per game in the Premier League with 45.1%, (Source: whoscored.com), so they always had to be vigilant. This season thus far has been similar, they are first in clearances again with 33.3 per game, first in blocked shots with 6.8 per game, however they are only blocking 2 crosses a game, which is a 1.5 drop from last season, this puts them joint eighth. This should pick up now though. To try to perform to this level in the Europa League on a Thursday night, and then replicate this on the weekend in the Premier League, with the squad they have would not have been an enviable task. Burnley’s summer additions show the struggles that they face to compete with the sides outside of the top six, when it comes to attracting talent. Keeper Joe Hart, whom was surplus to requirements at Manchester City, arrived for an initial £4m. Dyche, turned to the Championship to land Derby’s Czech international striker Matej Vydra, and Middlesbrough’s defender Ben Gibson came in for £15m. Now, no offence to these players, but they were not setting the league alight, nonetheless this is the position the club were in, with the aforementioned model they are keeping to stop the club from imploding, it is hard in this inflated market to make the required moves needed to bolster your squad adequately. These purchases were in stark contrast for instance, to two of the newly promoted sides, Wolverhampton Wanderers and Fulham. The newcomers made sixteen and twelve signings respectively, with permanent and loan deals of established players mainly from the Spanish, Portuguese, French and German top divisions. Dyche, has done a great job, but under the circumstances he may have taken the club as far as he can. Now they are out of Europe, and also exited the League Cup after losing away at Burton, they will surely have enough to not go down, as they can handle their schedule much better. Burnley will need to buy in January, but if midfielder Johann Berg Gudmundsson can stay fit, (he is currently the joint leader in the league in assists with 4), that will be a massive help. Joe Hart has had somewhat of a mini renaissance, though the results have not always been in the teams favour, he is second in the league in saves made with 35, only West Ham’s Lukasz Fabianski has made more. Burnley will need to cut down the amount of shots that they allow on their goal with 20.1 shots per game, being the most allowed by any team in the league. Their next two league games are against Manchester City and Chelsea, so it is unlikely that they will come away with anything there. November pits them against West Ham, Leicester, Newcastle and Crystal Palace, and this is a critical month, if they are to stay away from being dragged into the bottom five. This season, Dyche clearly will not be coming seventh again, and there are slight traces of frustration, if some jobs become available, with clubs like Southampton and Newcastle not in the best state, could he eventually have his head turned if by a new challenge?